Montaigne’s penultimate essay On Physiognomy has the well known phrase ‘I have gathered a posie of other men’s flowers and nothing but the thread that binds them is my own.’ I discovered it as the fore-quote to Field Marshall Viscount Wavell’s poetry anthology Other Men’s Flowers,1 where its use is quite contrary to that of Montaigne. In the essay Montaigne discusses a long list of classical scholars and then writes ‘we clothe ourselves in those of others and allow our own to lie unused – and some may say that about me, asserting that I have merely gathered here a big bunch of other men’s flowers, having furnished nothing of my own but the string to hold them together … that is the very reverse of my design: I want to display nothing but my own – what is mine by nature.’2 He intended more than a mere gathering of other men’s flowers, and the unique threads of his essays weave a rich tapestry of insights on life. They are daunting exemplars for this latter-day essayist about to trace the strands that bind the lives of six figures from Australia’s past: Eliza Fraser, David Bracewell and Ludwig Leichhardt in the nineteenth century, and Sunday Reed, Sidney Nolan and Patrick White in the twentieth; who if not all national icons, have nevertheless left their mark in legend, culture, art and literature. In The Genesis of Queensland,5 Henry Stuart Russell recalls his encounter with escaped convict David Bracefell, who told a tale of single-handedly rescuing Mrs Fraser, and hoping for pardon, leading her from her captors through swamps and bush towards Moreton Bay, only to be betrayed by her as they neared the settlement. This account quickly became the narrative of legend, displacing the contemporary historical account in which the convict John Graham rescues Eliza, and leading to the view ‘If indeed Bracefell spoke truthfully then Mrs Fraser’s suffering among savages had made her inhuman – a monster of ingratitude.’6 Exactly what happened in the days before Eliza’s rescue will probably never be known with certainty, but the legend is illuminated by learning what we can of David Bracewell – not ‘Bracefell’ as Russell remembered him incorrectly, or ‘Bracefield’ as some other records have him. Whether Bracewell played any part in the rescue of Eliza Fraser is uncertain.10 The official records clearly establish that John Graham brought Eliza from the bush to meet other rescuers waiting on the beach near present-day Teewah, but Graham’s own report makes no mention of Bracewell and his is the sole record of what transpired before Eliza appeared. The version Bracewell told Russell is quite different and his claim of walking with Eliza to Moreton Bay is demonstrably incorrect because she arrived there by boat with the rescue party. However without detracting from Graham’s central role, close analysis suggests Bracewell probably did play some part, perhaps even a crucial part, in the rescue. But if Bracewell went with Eliza and Graham towards the beach, why did he turn back into the bush? Was it his dread of the lash? Was it the prospect of being sent to Norfolk Island? Or was it that he and Eliza had a sexual encounter, consensual or otherwise, leading her to say she would speak against him? This too became part of the popular narrative. The official reports indicate she was very worried she might be pregnant, although this does not necessarily point to Bracewell. She complained of ‘another white man,’ who could have been Davis (Duramboi) given she mentions a wild white man who she called ‘Tallboy’; and she also said that ‘the white men she met were worse than the blacks,’ though this could have been a reference to the soldiers and convicts who were amused by her bedraggled appearance when rescued. This hint of sexual intrigue has served well in keeping the story alive for nearly two centuries. 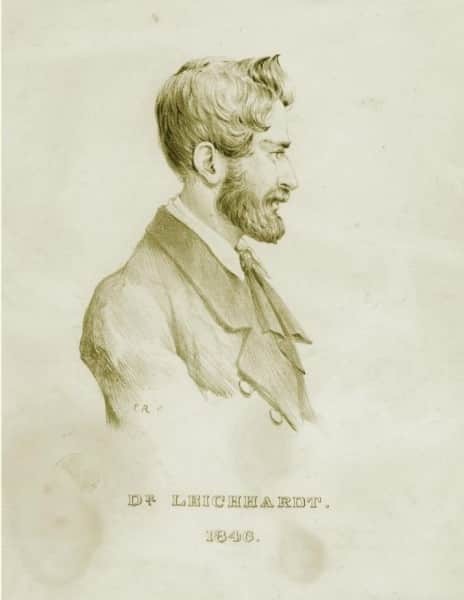 Just three months before Bracewell finally returned to Moreton Bay in 1842, the German explorer Ludwig Leichhardt11 arrived in Sydney at the age of 28, intent on studying the natural sciences in a relatively unknown land. He would never leave – his name forever etched in the history and mythology of the nation, and his bones secreted in its vast interior, their location and his fate a mystery to this day. His earlier studies in philosophy and language had given way to an interest in the natural sciences and his intent was not on qualifications per se – a degree was never conferred – but on the pursuit of knowledge, not so much for its own sake, but to equip him for his self-appointed task of exploration in New Holland. It is now suggested his diaries and reports are such that had he lived and published the results of his observations, he may well have joined the ranks of scientific giants like von Humboldt and Charles Darwin.12 Leichhardt undertook two major expeditions in Australia before his final and fatal attempt to cross the continent began in 1848. For several months after arriving in Australia he studied the Sydney and Hunter regions and then travelled to the Moreton Bay district for a year. 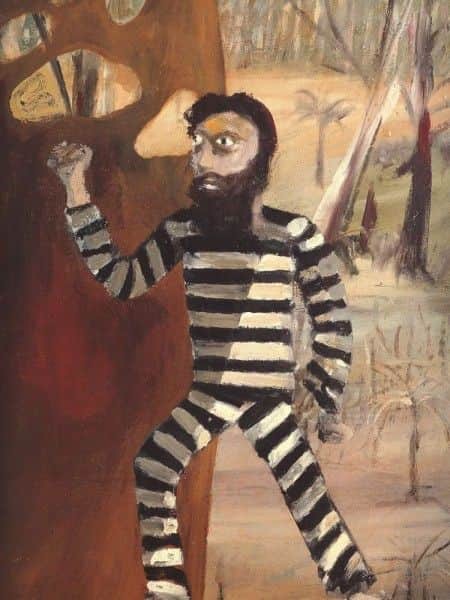 Exactly one hundred years later, in March 1944, Sunday Reed and her painter lover Sidney Nolan, recently returned from an army posting in the Wimmera to barracks conveniently close to her home Heide on the outskirts of Melbourne, were facing the daunting prospect of his transfer to active service in New Guinea. They were at the midpoint of a relationship which had crystallised three years earlier when Nolan left his wife and baby daughter and moved to Heide to live in a ménage a trois with Sunday and her husband John.16 It ended three years later when Nolan left on a personal voyage of discovery that took him north to Fraser Island where he first painted Mrs Fraser. Those six yearswere to have a profound and enduring influence not only on the rest of their own lives, but on the direction of art in Australia. Sunday was born in 1905 into Melbourne’s prominent and prosperous Baillieu family. She grew up privileged and acquired an early appreciation and love of art from her mother who took watercolour lessons from Arthur Streeton. 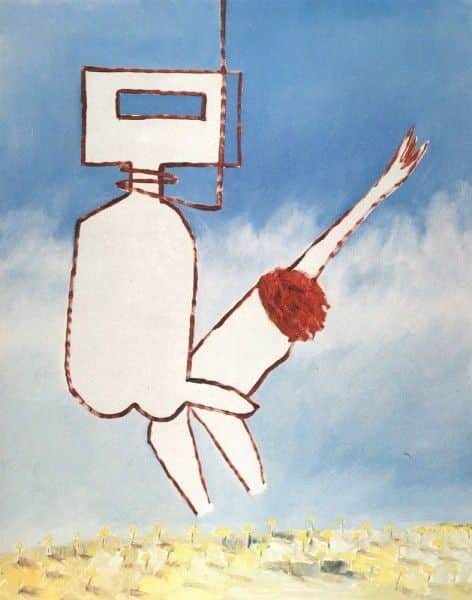 Sidney Nolan is the artist most associated with Heide. He was born in Melbourne in 1917 and lived in bayside St Kilda where, as the son of a tram driver, his education was basic. At age 14 he left school to commence a design and craft course and then worked with a firm of hat makers for six years. His intellect was stimulated, less by the art school night classes he commenced in 1934 at the National Gallery of Victoria, than by books in the Public Library reading room next door where he spent much more time, studying modern painters like de Chirico, Duchamp and Picasso, and reading a broad literary church including Blake, Baudelaire, Rimbaud, Rilke, Proust, Lawrence, Joyce, Kierkegaard and Neitzche. In December 1938 he married Elizabeth Paterson, one of the students at the Gallery Art School. His search for a measure of financial security earlier that year had brought him into contact with John Reed who invited him to dine at Heide. Nolan was just 21 and his dinner with the 36 year old Reed and his 32 year old wife Sunday would redirect his life. Although working with Elizabeth in a Lonsdale Street pie shop, Nolan spent more and more time at Heide with the Reeds whose influence on him increased correspondingly, he and Sunday becoming lovers. 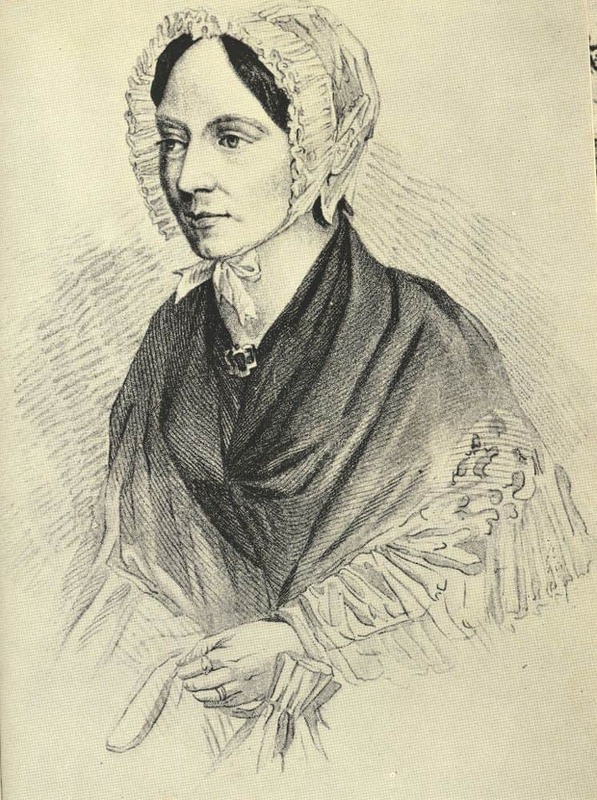 The Nolans’ daughter Amelda was born early in 1941, and while Nolan was away bike riding in Tasmania in an attempt to think through the growing difficulties in the marriage, John Reed suggested to Elizabeth the family move to Heide where he and Sunday could help raise the child, and Nolan could develop the latent painterly genius they saw in him. When Elizabeth refused, Reed ventured that Nolan would never reach his true potential if they remained married, and most likely also told her of Nolan’s infidelity with Sunday. Elizabeth then wrote to Nolan that the marriage was finished and when she refused to relent, in due course he moved in at Heide.21 The ménage was interrupted by war service when Nolan enlisted in March 1942 and was posted to the Wimmera, where his proximity to Heide allowed for frequent weekend visits, and on other occasions Sunday would travel to him with canvasses and paints. 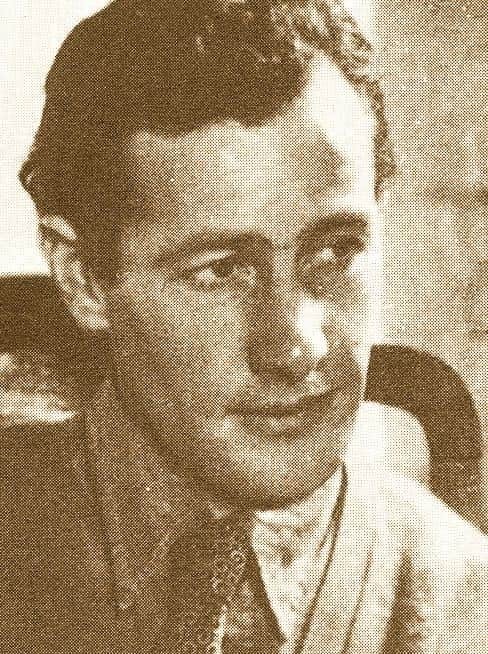 In July 1944 Nolan’s request for leave without pay to work with Reed & Harris was approved for one month and from this leave he never returned, going AWL and being declared an illegal absentee in September 1944.22 For the next few years he took the false name Robin Murray and lived in hiding at both Heide and in a converted stable at Parkville known as ‘The Loft’. He took advantage of a general amnesty to obtain a dishonourable discharge in 1948. His own and his family’s reaction to his military service were clouded by the accidental drowning death of his younger brother Raymond, a sapper in the Small Ships Coy, at Cooktown in July 1945 just a few weeks before the war ended. In 1946 John and Sunday Reed holidayed in Queensland where they met Barrett (Barrie) Reid who was editor of the Brisbane little magazine Barjai. At their invitation, he visited Melbourne for Christmas, stayed at Heide and at ‘The Loft’, and established a strong rapport with Nolan who was then in full swing painting the first iconic Kelly series. Poetry written by Nolan at the time indicates that he and Reid discussed his position at Heide, and Reid suggested to Nolan that he come north for a period.23 Finally, amid much inner turmoil, Nolan decided to move on.24His time at Heide had come to an end and he flew to Brisbane on 7 July 1947 a few months after his 30th birthday. It was here in the Oxley Library that Nolan encountered the Eliza Fraser story. He twice visited Fraser Island and painted a number of works, one of which, Mrs Fraser, has become one of his best known paintings and is now regarded by many as emblematic of his animosity towards Sunday Reed. These letters support my belief that Nolan’s first Mrs Fraser painting was not conceived in malice, and that this emotion as the driving force for his Mrs Fraser paintings came later – indeed a dream-like lyrical beauty is still to be found in some of his later Mrs Fraser works. Another letter from Brisbane to the Reeds has photographs of a few of his first Fraser Island paintings, including one of the iconic Mrs Fraser30 which reveals that the painting initially had another six inches at the top showing the full vertical height of the palm trees, it extended to the canvas edge without an oval border and the horizon was much higher. Nolan’s last letters from Brisbane late in 1947 indicate he was uncertain of his movements, perhaps also of his intentions. After going to Sydney around Christmas/New Year he wrote to Albert Tucker on 19 January 1948 giving his address as c/o Heide,33 suggesting he thought to return to Melbourne. Then suddenly on 25 March in St Stephen’s Presbyterian Church in Macquarie Street, Nolan married John Reed’s sister Cynthia. Perhaps prophetically, for Eliza and Fraser Island would be significant undercurrents in both their lives, the marriage certificate records his usual place of residence as Fraser Island! His contrasting relationships with Sunday and Cynthia can be seen in two little oil on glass paintings probably done at that time, and which I first saw on the mantlepiece of a Melbourne antiquarian book dealer who had been given the works by Barrie Reid. 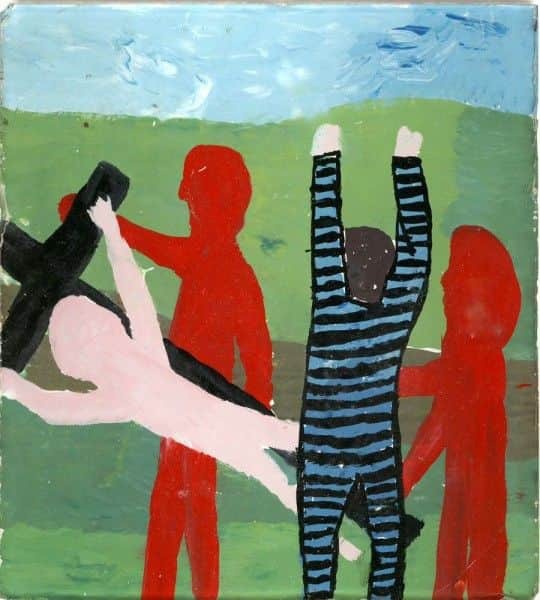 The postures of the convict-striped Bracewell in the two works is interesting – in one a resurrected Bracewell leaps skyward from a crucifixion scene where a man and woman lower to the ground a Christus-bearing cross; in the other, set against a Heide skyline, a free and skipping Bracewell is sheltering behind a dark-haired woman – but sheltering from what? Cynthia Reed34 was 39 when she and Nolan married. Her letters during the 1930s to her brother John and to Sunday indicate a very close friendship of shared hopes, fears and confidences. After returning pregnant and single from overseas, her intimacy with Sunday faltered soon after her daughter Jinx was born in 1941 when she stayed briefly at Heide. In 1943 she moved to Sydney and wrote to John ‘no man will ever love me as I have about me too much the smell of hell.’35 Nolan, who had met her briefly at Heide, would probably not have agreed. The marriage effectively fractured all bonds between the two couples. The Nolans’ life together over the next thirty years can be summarised as travel, painting, success, fame, and some unhappiness for him; travel, writing, less fame, greater unhappiness and eventual suicide for her. Nolan’s career is well known: famed and feted, he became a knight of the realm, recipient of honorary doctorates, and was given huge international retrospective exhibitions. Cynthia’s career is less known, other than as the travel-book-writing wife of the famous painter. One of her books Open Negative36 tells of their road trip through America in 1958 when, driving through Florida, they first met Patrick White in Fort Lauderdale.37 The meeting began a twenty year friendship with the writer – a friendship most remembered today, thirty years on, for its notorious ending. In the years immediately preceding this meeting White had begun to make his mark. The Tree of Man 38 had been published to critical international acclaim, even if panned at home – A. D. Hope famously branding it ‘pretentious and illiterate verbal sludge,’39 and Voss 40 had just been published and awarded the inaugural Miles Franklin Literary Award. Of his meeting with the Nolans, White wrote to a friend‘Sidney N. seems to be completely honest and without nonsense … I can’t think when I have met a man so much himself …’41 From this meeting a strong relationship, both professional and personal, developed between White and the Nolans. 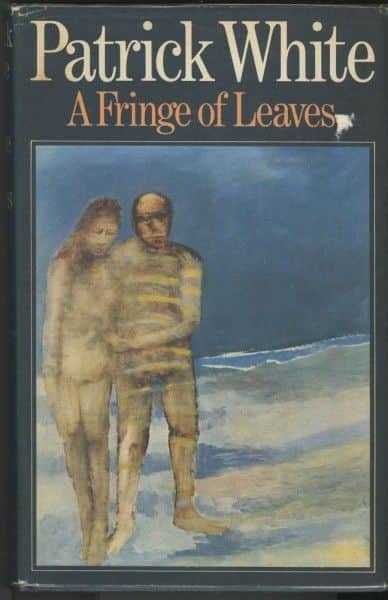 They spent much time together whenever White visited London, and Nolan prepared the jacket illustrations for several White novels including Voss and A Fringe of Leaves 42 in 1976. 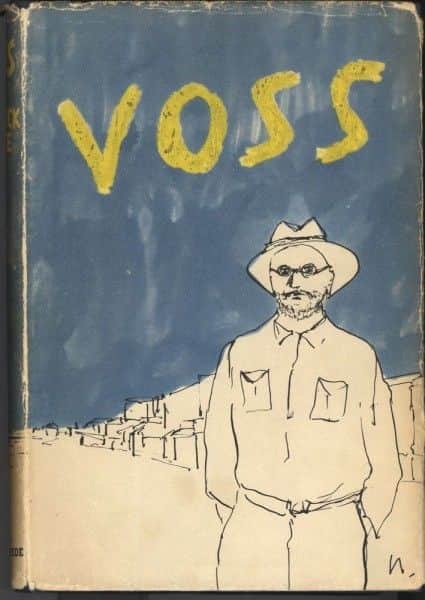 Voss is perhaps his best regarded novel and borrows much from Leichhardt who is quite recognisable in the character Voss. Nolan’s drawing on the Voss cover has been seen as prompted by a photograph of painter and Dunera boy Klaus Friedeberger standing in the middle of the highway at Tennant Creek. White’s and Nolan’s artistic association continued. Nolan’s paradisiacal Mrs Fraser and Convict, painted between 1962 and 1964 was chosen for the jacket of A Fringe of Leaves and strongly evokes Masaccio’s Expulsion from the Garden of Eden fresco in the Brancacci Chapel in Florence – illustrated both with, and without, the fringe of leaves added in a more censorious age for the sake of modesty before being finally removed during a 20th century restoration. The Nolans are joint dedicatees of White’s 1970 novel The Vivisector 47 in which the painter Hurtle Duffield is seen by many, although denied by White, to be based on Nolan. In 1972 White declared that Nolan and Brett Whitely were ‘the creative geniuses of Australian painting,’48 and when he won the Nobel Prize in Literature in 1974, but would not travel to Sweden, he asked Nolan to accept the award on his behalf. White developed a particularly close and special rapport with Cynthia and he wrote ‘of all people I know I think Cynthia is the one who reacts to people and things most like I do.’49 He was devastated to learn of her suicide on 23 November 1976, and angered when 15 months later Nolan married Arthur Boyd’s sister Mary, the former wife of John Perceval. By late 1979 he was working on an autobiography and wrote of Nolan to poet Randolph Stow ‘I couldn’t forgive his falling on the bosom of the other one when Cynthia’s ashes were hardly cold.’50 Neither this sentiment nor his reassessment of Nolan’s capabilities were hidden when Flaws in the Glass 51 appeared in 1981 – a title quickly spoonerised to Claws in the Arse. Nolan’s response was swift. 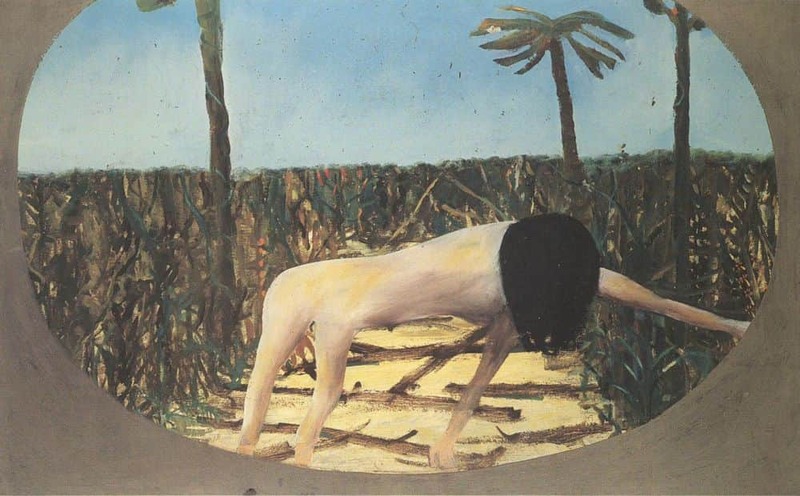 He painted Nightmare, a diptych in which a dog, pig or large flea-like creature having the face of White’s partner Manoly Lascaris backs up towards a White-like figure, and exhibited it at the Perth Festival in 1982. White wrote to film director Joseph Losey, who he hoped might direct a film of Voss, ‘Neddy Nolan has got it in for me for what I said quite truthfully and in a dignified manner in Flaws in the Glass. He began braying intolerably throughout the Australian press, exhibiting caricatures of Manoly and me, including drawings in which we are consigned to Dante’s circle of purgatory for sodomites.’52 Their friendship had reached its dramatic and very public conclusion. For 30 years Sunday Reed had the effect of an Antigonish ghost who wasn’t there yesterday to be met on the stairs of Nolan’s life, but always, it must have seemed, wasn’t there again today. Whether Nolan really wished the ghost would go away is less certain. In both painting and poetry he frequently returned to his years at Heide and to what he increasingly saw as Sunday’s Eliza-like betrayal. This reached a peak in the early 1970s and his preoccupation with the theme must have given Cynthia cause to consider just how far he really had moved on. I suspect he never had entirely, indeed never would. He wrote the vitriolic, highly personal poems Paradise Garden 53 published in a spectacular book he lavishly illustrated, and with his American film director friend Stuart Cooper (who still owns the film rights to Voss) he made the film Paradise Garden with narration and recitation of the poems by Orson Welles.54 His Ern Malley paintings at this time say more about his feelings for Heide than they do about the notorious hoax poems on which they are based – although because of his intimate involvement in their 1944 publication, Nolan and Malley are in one sense quite inseparable.55 In time Nolan’s paintings on the Mrs Fraser theme would change. While a gentle lyricism pervades his early 1960s Mrs Fraser and Convict, ten years on he is less gentle with his Mrs Fraser imagery. 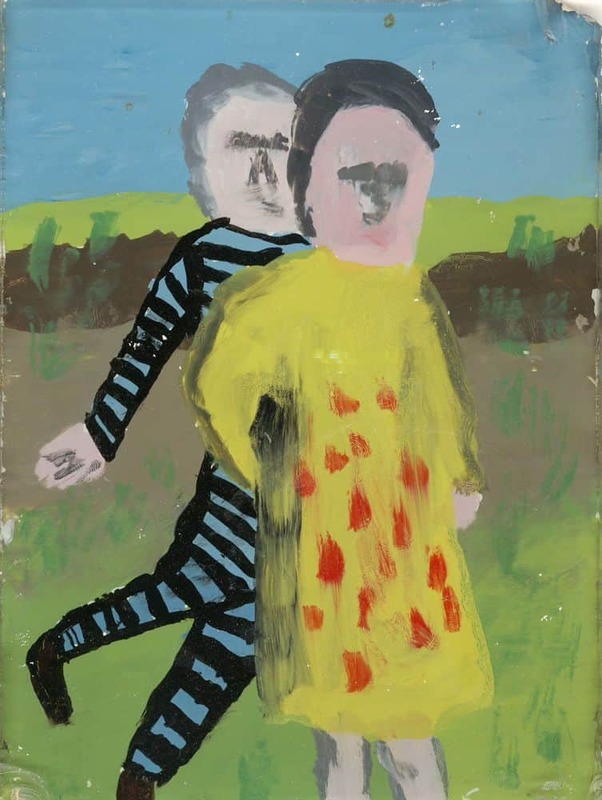 The confronting image Beyond is Anything, painted for the 1974 Ern Malley and Paradise Garden exhibition at the Art Galley of South Australia,56 has nothing lyrical about it, nothing paradisaical. In this work the final erection of a hanged man eternally couples Nolan’s alter ego Ned Kelly and Eliza Fraser in a blazing blue Nolanesque sky – no mandrakes will grow in the arid Wimmera landscape beneath this ethereal gallows. Stranger still is that David Bracewell’s draw-string has snared me personally, weaving threads in my own life and in the lives of family and friends. My parents were married in Brisbane in 1936 and honeymooned at Noosa Heads with one day spent visiting the Coloured Sands at Teewah midway along the beach towards Fraser Island. I like to imagine that the day they visited the sands might have been the halfway point of their honeymoon, 17 August, exactly a hundred years to the day from when David Graham (perhaps with Bracewell’s assistance, perhaps not) led Eliza from Lake Cootharaba between the coloured sand dunes and onto the beach. A much deeper personal connection lies in the subsequent history of the Woogaroo property where Bracewell died. Simpson lived only a few years in the house built with the timber felled by Bracewell, and he then built Wolston House nearby – now Queensland’s oldest remaining farm residence. In the 1860s most of Simpson’s land became the Woogaroo Lunatic Asylum and the old house became the Surgeon’s cottage. The asylum was renamed Goodna Hospital for the Insane in 1898, then Brisbane Mental Hospital in about 1940, then Brisbane Special Hospital, then Wolston Park, and now it is known as The Park Centre for Mental Health.70 In the late 1950s I regularly visited a dear family member there and it was known to everyone near and far simply as Goodna, although its reality was anything but simple and my visits left me with enduring images of the quite incomprehensible and seemingly random disadvantages suffered by some. Our family camped at Noosa Heads in 1952 for the six months of my father’s long service leave, and as a twelve year old I led a magical carefree and school-free existence, entirely ignorant of Eliza Fraser or that the Heads were once known as Bracefell Heads,71 and with no inkling that my next encounter, at Goodna, with another haunt of Bracewell would catapult me to a much more mature and sobering view of the world. The writer Barbara Blackman has a similar connection. She became interested in the Eliza Fraser story when she and her artist husband Charles stayed at Judith Wright’s house Calanthe close to where Eliza was rescued. In the 1970s she wrote the libretto for Eliza Survivor in collaboration with composer Peter Sculthorpe. She also now learns of Bracewell’s link with Goodna, where she too has connections – her Swedish grandfather head gardener there for decades and her mother born and later married on the estate.72 Poor Bracewell, and all the other lost souls who drew their last breath at Woogaroo – they bring to mind the second of T S Eliot’s Four Quartets: ‘In the beginning is my end … In the end is my beginning.’ For them, one surely hopes it may be so. Time has now ‘changed, changed utterly’ the two trios threaded together here: Eliza Fraser, Bracewell and Leichhardt, Sunday Reed, Nolan and White – though none are forgotten – at least not yet. Perhaps some never will be, for it is in great works of art, in writing and music and painting, that their creators achieve an immortality of sorts – an immortality outliving the fame and infamy of the monarchs, the generals, the soldiers, the politicians and the power brokers. A simple quiz makes the point well: name England’s greatest playwright, and now name the monarchs ruling when he was born and when he died. It hardly seems possible that the likes of Shakespeare and Bach and Rembrandt will ever disappear from collective consciousness – latter day luminaries like Nolan and White, knighthoods and Nobel Prizes notwithstanding, are yet to survive a fuller test of time. A. P. Wavell, Other Men’s Flowers, Jonathan Cape, London, 1944. Michel de Montaigne, The Complete Essays, trans. M. A. Screech, Penguin, 2003, p. 1196. John Curtis, The Shipwreck of the Stirling Castle, George Virtue, London, 1838. Henry Stuart Russell, The Genesis of Queensland, Turner & Henderson, Sydney, 1888. Charles Barrett, ‘White Women among Cannibals’, in White Blackfellows: The Strange Adventures of Europeans Who Lived Among Savages, Hallcraft, Melbourne, 1948, p. 79; referred to in Kay Schaffer, In the Wake of First Contact, op.cit., p. 25. An account of the desperate life of the poor in Shadwell appears in a modern-day recounting of the 1811 Ratcliffe murders. Until Jack the Ripper, these murders were the quintessence of British horrer crime and occurred only a few hundred yards from where Bracewell is said too have unsuccessfully attempted to steal McKenzie’s watch 15 years later. See P. D. James and T. A. Critchley, The Maul and the Pear Tree, Warner Books, New York, 1971, p. 6-20. Raphael Cilento, Wild White Men of Queensland, Smith & Paterson, Brisbane, 1959. Neil Buchanan and Barry Dwyer, The Rescue of Eliza Fraser, Tewantin, 1986. The authors are local historians who look at the mystery of Bracewell’s involvement in light of their personal knowledge of the terrain. Colin Roderick, Leichhardt, the dauntless explorer, Angus & Robertson, Sydney, 1988. Ludwig Leichhardt, Journal of an overland expedition from Moreton Bay to Port Essington, a distance upwards of 3000 miles, during the years 1844-1845, T & W Bone, London, 1847. Janine Burke, The Heart Garden, Knopf, Sydney, 2004, p. 406. 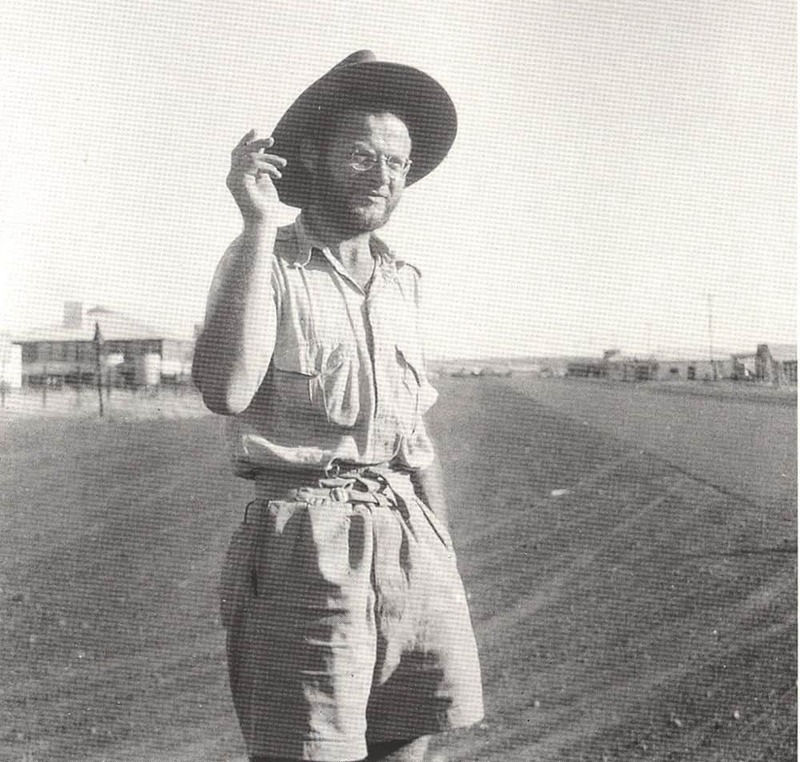 Roderick, Leichhardt, the dauntless explorer, op. cit,. p. 206-227. Two useful books among many dealing with Reed and Nolan are Nancy Underhill, Nolan on Nolan, Viking, Melbourne, 2007 and Janine Burke, The Heart Garden, op. cit. Burke, The Heart Garden, op. cit., jacket cover. Barbara Blackman, personal conversation with author, December 2010. Disquieting Muse is the title of the essay by Robert Melville in Nolan’s book of poems Paradise Garden (see footnote 53). An account of the breakup of Nolan’s first marriage, told from his wife’s perspective, appears in Frances Lindsay’s essay Sidney Nolan: the end of St Kilda Pier in the catalogue Sidney Nolan, AGNSW, 2007. Barrie Reid, ‘Nolan in Queensland; some biographical notes on the 1947-8 paintings,’ Art and Australia, Vol. 5 No. 2, Sydney, September 1967. In January 1947 Nolan wrote a poem ‘Prince on a Hill’ for Barrie Reid with the line ‘they cannot be forever’. In Nolan’s hand, the manuscript is in the Papers of Shelton Lea, Australian Manuscripts Collection, State Library of Victoria, MS 13526, Box 10, File 3(c). Nolan discusses leaving Heide in an interview with Michael Heyward in May 1991. Of Sunday Reed’s attitude he said “She could never see the logic of why I left … but I couldn’t see the logic of staying.” (see footnote 67). Robert Gibbings, John Graham Convict, Faber and Faber, London, 1937, p. 93. Sidney Nolan, interview Anne Kelleher, Harpers Bazaar Australia, 15 December 1987. Sidney Nolan, Letters to John Reed after he left Heide on 7 July 1947, Papers of John & Sunday Reed, op. cit., Box 2, File 6. Nolan’s note in the Summer 1947 issue of The Sewanee Review, as well as indicating warmth between Nolan and the Reeds, also shows the depth of Nolan’s literary interests. 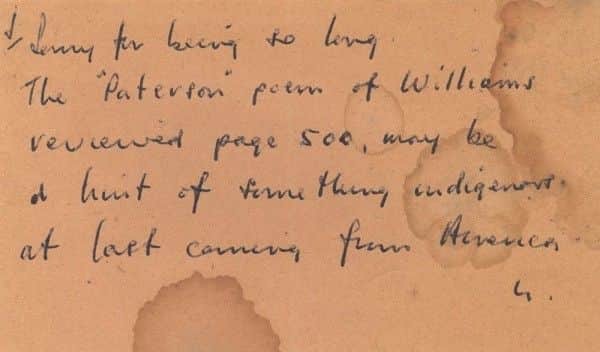 Few Australians in 1947 would have read Carlos William’s Paterson, let alone been in a position to venture an opinion that it ‘may be a hint of something indigenous at last coming from America.’ It is interesting too that the review of Paterson to which Nolan refers is by the poet Robert Lowell, who would become Nolan’s close friend – his books of verse illustrated by Nolan who in 1967 painted Lowell’s portrait for the cover of Time Magazine. Sidney Nolan, Letter to John Reed, 1 September 1947, ibid. 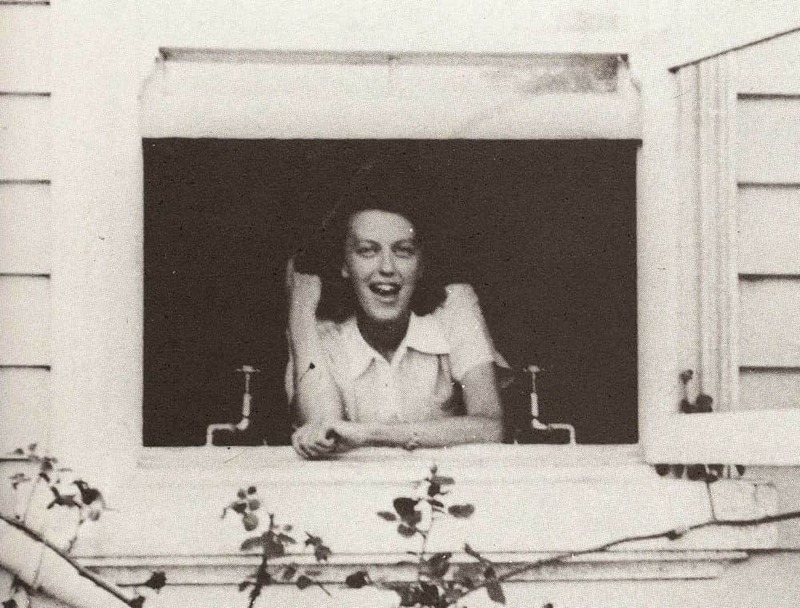 Sidney Nolan, photograph of ‘Mrs Fraser’ painting, 1947, Papers of John & Sunday Reed, op. cit., Box 16, File 1. Moonboy is one of Nolan’s best known paintings. 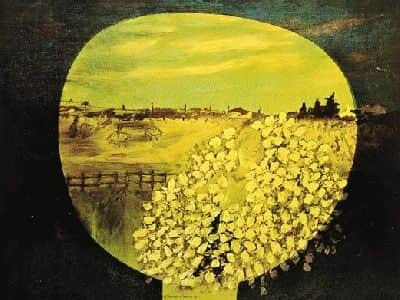 A golden yellow sphere atop a thin neck set against a deep blue/green background, it was painted in 1939 and was inspired by the sight of his friend John Sinclair’s head silhouetted against the moon at St Kilda. The Moonboy motif appears frequently in his works. Colin Macinnes, Sidney Nolan: The Search for an Australian Myth, Whitechapel Art Galley, London, 1957, p. 16. Patrick McCaughey, Bert & Ned, Meigunyah Press, Melbourne, p. 77. Grant, The Life and Work of Cynthia Reed Nolan, op. cit., p. 46. Cynthia Nolan, Open Negative: An American Memoir, Macmillan, London, 1967. Patrick White, The Tree of Man, Viking Press, New York, 1955. Patrick White, Voss, Eyre & Spottiswood, London, 1957. 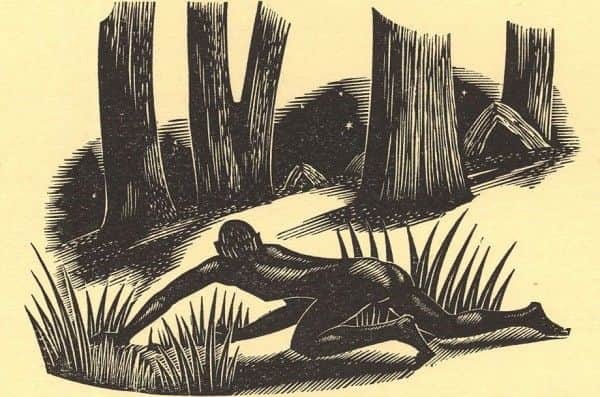 Patrick White, A Fringe of Leaves, Jonathan Cape, London, 1976. Norbert Lynton, John McDonald and Deborah Hart, Searching for Gaia: The Art of Guy Warren, Macmillan, Melbourne, 2003, p. 147. Patrick White letter to Alan Williams, 11 January 1976. See David Marr, Patrick White Letters, op. cit., p. 467. The libretto was written by Barbara Blackman. See Quadrant, Volume XXI No. 4, April 1977, p. 35. Patrick White, The Vivisector, Viking Press, New York, 1970. 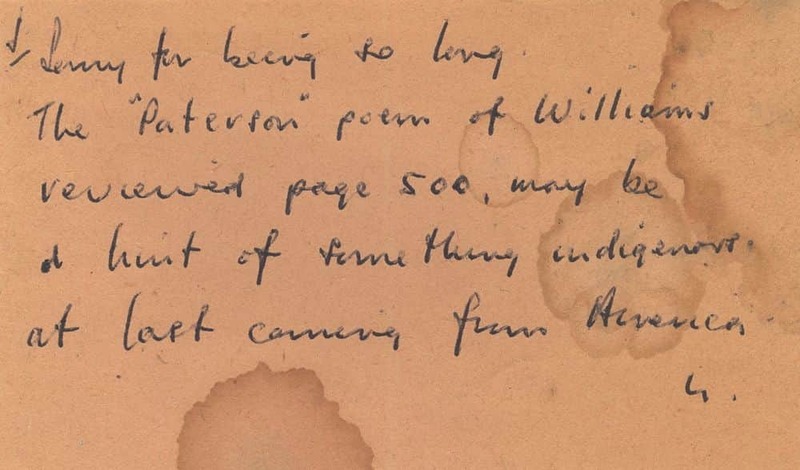 Patrick White letter to Geoffrey Dutton, 5 March 1972. See David Marr, Patrick White Letters, op. cit., p. 394. 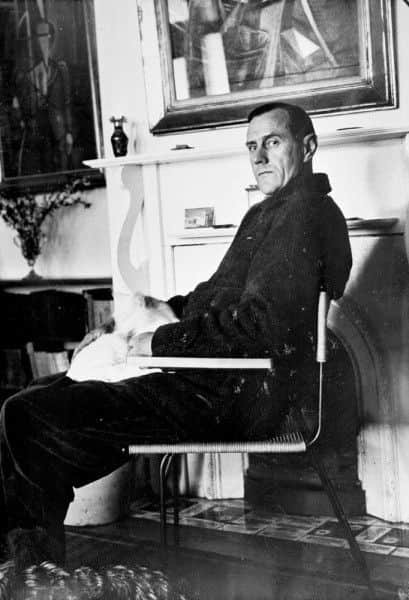 Patrick White letter to Luciana Arrighi, 16 October 1967. See David Marr, Patrick White: A Life, Random House, 1991, p. 470. Patrick White letter to Randolph Stow, 22 July 1979, See David Marr, Patrick White Letters, op. cit., p. 526. Patrick White letter to Joseph Losey, 28 July 1979, See David Marr, Patrick White Letters, op. cit., p. 581. 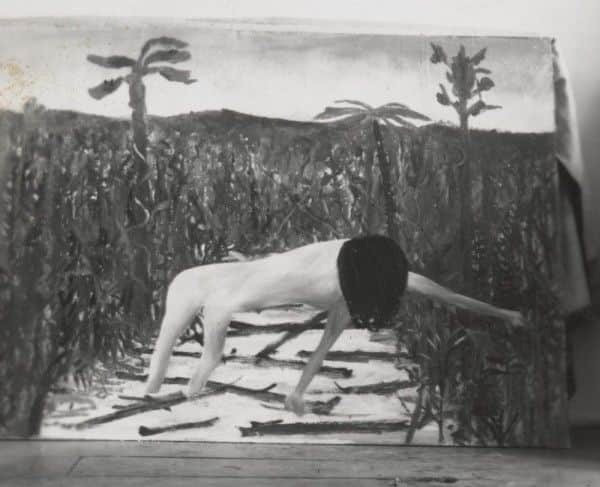 Sidney Nolan, Paradise Garden, McAlpine, London, 1971. Festival Exhibitions 1974, The Art Gallery of South Australia, Adelaide, 1974, p. 21. For discussion of the importance of Malley to Sidney Nolan see: David Rainey, Ern Malley: the Hoax and Beyond, Heide Museum of Modern Art, Melbourne, 2009, p. 58. For a detailed discussion of Nolan’s Malley paintings see the essay The Illuminating Ecliptic by Elwyn (Jack) Lynn in: Ern Malley, The Darkening Ecliptic, McAlpine, London, 1974. The catalog essay for this exhibition is that listed above by Jack Lynn. Galerie Börjeson in Malmö, Sweden invited one artist from each of the 33 countries who to that point had produced a Nobel laureate to submit a work. They were sold in limited editions and were later all published together with other works of each artist. See Moderna Mästare, Galerie Börjeson, Malmö, 1978. Nolan’s work is on p.327. Underhill, Nolan on Nolan, op. cit., p. 93. Nancy Underhill’s book Nolan on Nolan is an invaluable reseach tool. Sidney Nolan, interview with Donald Mitchell at the Aldeburgh Festival, 11 June 1990. For transcript see Underhill, Nolan on Nolan, op. cit., p. 358. An account on the state of the marriage from Cynthia’s perspective can be found in Grant, The Life and Work of Cynthia Reed Nolan, op. cit. Nolan, the self styled Irish larrikin if sixth generation Australian, lived almost 40 years in England where in older age he reputedly stayed up late at night listening for Australian accents on TV. Paradoxically, at his memorial service in St James’s Piccadilly in 1993, the very last line sung would be ‘in England’s green and pleasant land’ from the William Blake poem/hymn Jerusalem. On the day she died, Nolan and Cynthia were due to lunch together after she visited Somerset House to research some leads in her quest to trace her mother to Stromness. When she did not arrive, Nolan returned to Putney to find her telegram beneath the door. Sidney Nolan, interview Nicholas Rothwell, The Weekend Australian, 15-16 July 1989. Sidney Nolan, Interview Michael Heyward, 5 April 1991, Papers of Michael Heyward, Australian Manuscripts Collection, State Library of Victoria, PA 96/159, Box 5. See http://www.nma.gov.au/audio/transcripts/leichhardt/NMA_darragh_20070615.html. Tom Darragh has translated all of Leichhardt’s extant journals. In conversation with him in November 2010, he advised that Leichhardt’s journals do not mention Bracewell. Mark Finnane, Wolston Park Hospital, 1865-2001: A Retrospective, The Park Centre for Mental Health, c2001. Russell, The Genesis of Queensland, op.cit., p. 255. Barbara Blackman, personal conversation with author, November 2010. Finlay J Macdonald, A Journey to the Western Isles: Johnson’s Scottish Journey Retraced, Macdonald & Co, London, 1983, p.175. W. B. Yeats, The Poems, Everyman, London, 1990, p. 228.